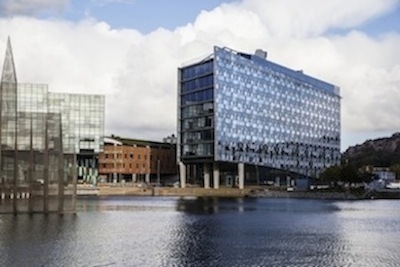 Lindholmen Conference Centre is located along Lindholmen’s waterfront and is the perfect venue for your conference or event. The venue offers a highly technological environment and can accommodate up to 1000 guests in modern facilities. The conference centre’s central location in Gothenburg means that it is only a 6 min bus ride from the central station. Landvetter airport is only 25 min away. There are also car and bicycle pools at your disposal and the Älvsnabben ferry takes you over the river in 4 minutes into the city centre. For more information how to get here click here. If you have any questions or need any further information about the venue you are most welcome to send an email to the Sweden MEETX AB or call them at +46 31 708 8690. Gothenburg is the second largest city in Sweden and located on the west coast. 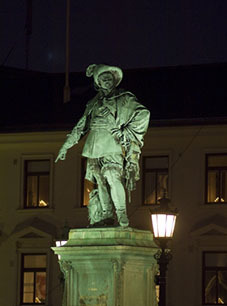 It was founded in 1621 by king Gustaf II Adolf, and has a population of about 550,000 in the urban area and close to one million in the metropolitan area. It is home to some of the larger industrial groups in Scandinavia, mainly AB Volvo and SKF AB. Gothenburg has an oceanic climate according to Köppen climate classification. Despite its high northern latitude, temperatures are quite mild throughout and much warmer than places in similar latitude, or even somewhat further south. During the summer, daylight extends 17 hours, but lasts only around 7 hours in late December. Gothenburg has two universities, both of which started off as colleges founded by private donations in the 19th century. The University of Gothenburg has approximately 25,000 students and is one of the largest universities in Scandinavia. Chalmers University of Technology, with approximately 11,000 students, educates roughly 40 percent of Sweden's graduate engineers and architects. Göteborg Landvetter Airport is located 20 km east of Gothenburg, and is an international airport serving the Gothenburg region, and has connections with about 40 scheduled destinations. Arriving from Landvetter Airport (GOT): You can take the airport coach to Centralstationen, this takes approximately 30 minutes. The bus ticket costs 95 SEK and can be purchased on-line at www.flygbussarna.se, inside the airport, in the ticket machine by the bus stop, or on the bus - credit card only. A taxi from the airport costs 400–500 SEK. Ask for the fixed price, which is cheaper than going by the fare meter. Arriving by train: Look for train connections to Gothenburg either at www.sj.se or www.db.de. See information about bus and trams below. Arriving by car: E20 freeway northbound Stockholm/Oslo or southbound Malmö, or road 40 from Borås, or road 45 from Karlstad. Gothenburg has a compact city centre. Almost everything is within walking distance or easy to reach by tram, so you should plan to park your car. As you drive into Gothenburg electronic signs help you find a parking space and show how many spaces are available. The best way to get to Lindholmen is by bus. Line 16 departs every three minutes during high traffic in the morning and in the evening. During the day, it departs every ten minutes. It takes 6-8 minutes from the Central Station (Nordstan) to Lindholmen. To get to Lindholmen Science Park you can also take one of the following buses: 23, 30, 31, 99, 126, 165, 199, 402 and 510. 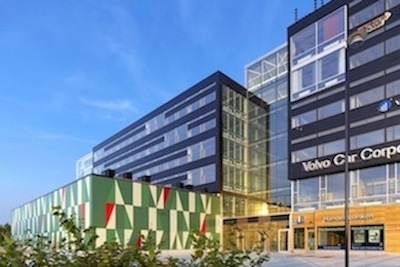 There are three stops close to Lindholmen Science Park: Pumpgatan, Regnbågsgatan and Lindholmen. If you’re visiting the campus or our main offices at Lindholmspiren 3-5, the closest stop is “Lindholmen”. The ferry “Älvsnabbare” offers free rides and departs every ten minutes from Rosenlund (close to Järntorget) and Lindholmspiren. The trip will take about 4 minutes and is available betwen 7am and 6pm. The stop “Lindholmspiren” is situated right in front of the Lindholmen Science Park area. There is also a pay ferry called “Älvsnabben” that runs between Rosenlund – Lundby Strand – Lindholmspiren – Slottsberget – Eriksberg – Klippan. Sweden does not regulate prices; they may vary greatly, it is the customer’s responsibility to check prices beforehand. Make sure that you check (and understand) the price on the yellow label before accepting a ride, or speak to the driver to agree on an approximate price. Taxi Göteborg :+46 (0)31 650 00. VIP Taxi : +46 (0)31 27 16 11. Taxi Kurir : +46 (0)31 27 27 27. And be aware of less serious companies trying to pass themselves off as something else.